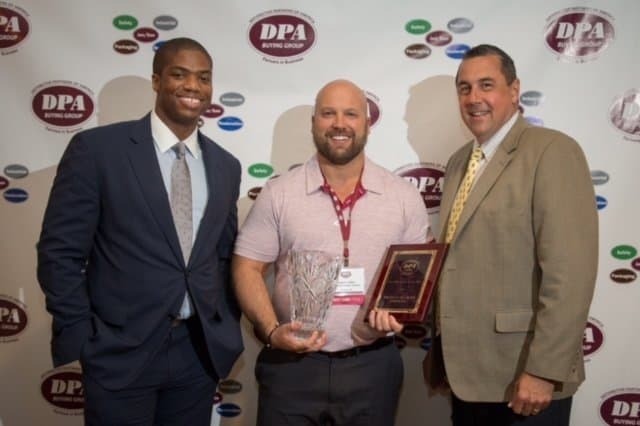 The DPA Distributor of the Year Award is presented to the distributor that has grown their sales over the previous year with DPA’s Partner Suppliers and that has added DPA vendors to their product line card. Wildman Facility Services met and exceeded both criteria and was the 15th recipient of this award. TRSA recognizes that many companies in the industry make significant contributions to individuals and communities every day by volunteering their time, actions, talents, and dedication outside of the workplace. They’ve developed the annual Community Service Award to honor a company that has been generous with their time and talents and bring to light their sense of caring and responsibility for others in the community. Wildman recently won this prestigious award and were recognized at the Annual TRSA conference in Miami. The mission of Wildman is to give back to its employees, customers, and community at home and abroad. Wildman has committed to giving back 20% of its profits to communities and world missions and empowering employees to participate in many community related functions. Projects they’ve supported includes being a court-appointed special advocate for CASA, serving meals at the local homeless shelters, helping rebuild communities after devastating tornadoes, delivering meals to shut ins, and providing food and supplies to the local women’s shelters. Wildman has also funded more than 100 employees, employee’s families, customers and community members to visit one of several missions it supports. Employees have been to Honduras, Spain, Papua New Guinea and the Dominican Republic. The company pays all expenses for any employee and one family member to go on a mission trip. Not only are the employee expenses paid, but they are given paid time off from work to participate. One of the main organizations that Wildman is supporting is called 2nd Mile Missions. With the support of Wildman, this mission pioneered and operates an education center that serves pre-K through grade 12 in the Dominican Republic. Teachers are licensed through the Department of Education in the Dominican Republic and many are bilingual. This school serves as many as 800 students each year with hopes of ending the poverty and hopelessness that many of these youths would experience. 2nd Mile recently has opened a House of Hope that provides a loving home, and a sense of security to young girls who have been abused and/or abandoned.